Johan's twin sister and the only unharmed survivor of the night when both her parents and her brother were shot in what appeared to be a botched burglary. At first she showed signs of amnesia due to the psychological trauma of the incident. After she and her brother disappeared, she was adopted by the Fortner family from Heidelberg, who were unaware of her previous identity as Anna Liebert. As Nina Fortner, she was a hardworking law student at an unnamed university (likely the University of Heidelberg), as well as an adept practitioner of Aikido. She lived her life in peace until Johan made contact with her on her twentieth birthday. She comes to pursue Johan, albeit by different methods and for a different reason than Tenma. 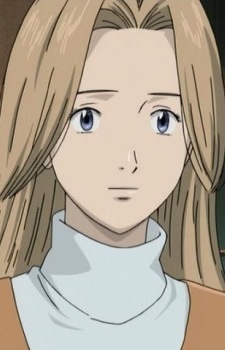 Note: "Liebheart" is Anna's official last name according to the Japanese anime page, but "Liebert" is her official name according to the English translation of the manga. Please do not request edits to her name. We've already counted down your favorite girls in anime, but what about the real women from behind the scenes that bring your favorite characters to life? Here are the top 10 Favorited female seiyuu on MyAnimeList.